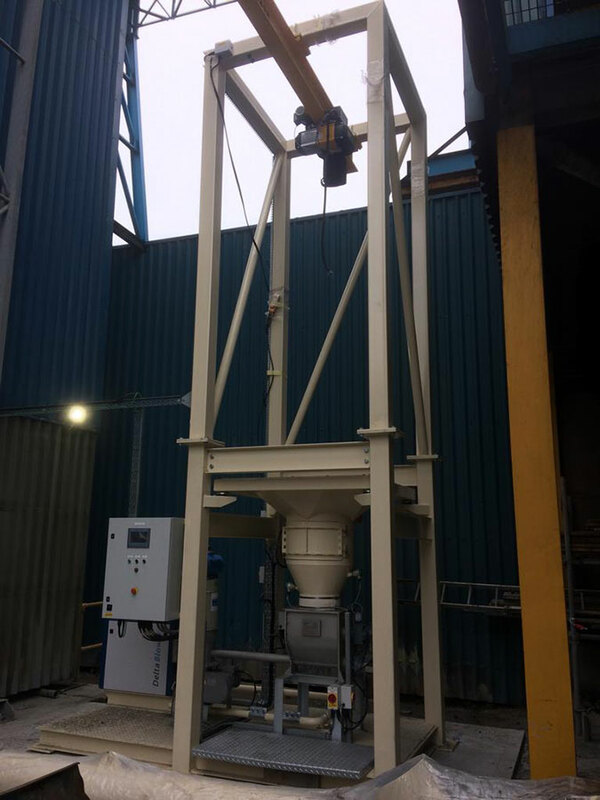 The Spirotech standard range of bulk bag dischargers include all the necessary ancillary equipment to provide efficient discharge of powder and various level indication/monitoring options. 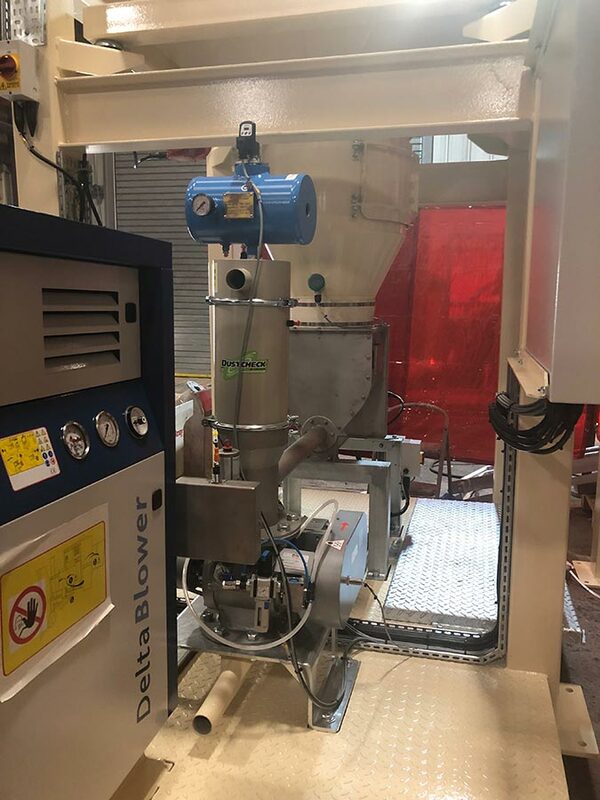 A Spirotech metering feeder assembly c/w integral agitator, meters the hydrated lime from the big bag discharger into a rotary airlock valve at a discharge rate of between 10 – 50kg/hr. 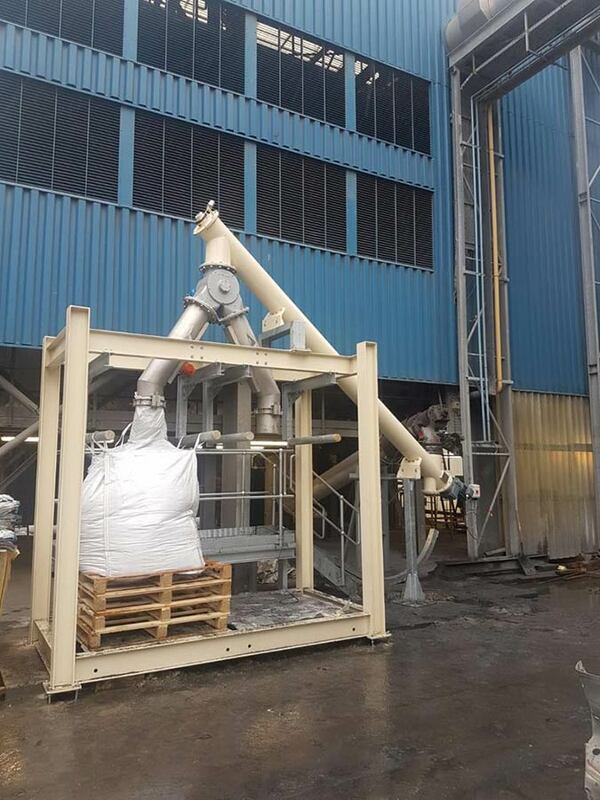 The Hydrated Lime is then pneumatically conveyed into the exhaust stack using positive pressure generated by a Roots Type Blower through a flexible conveying line. 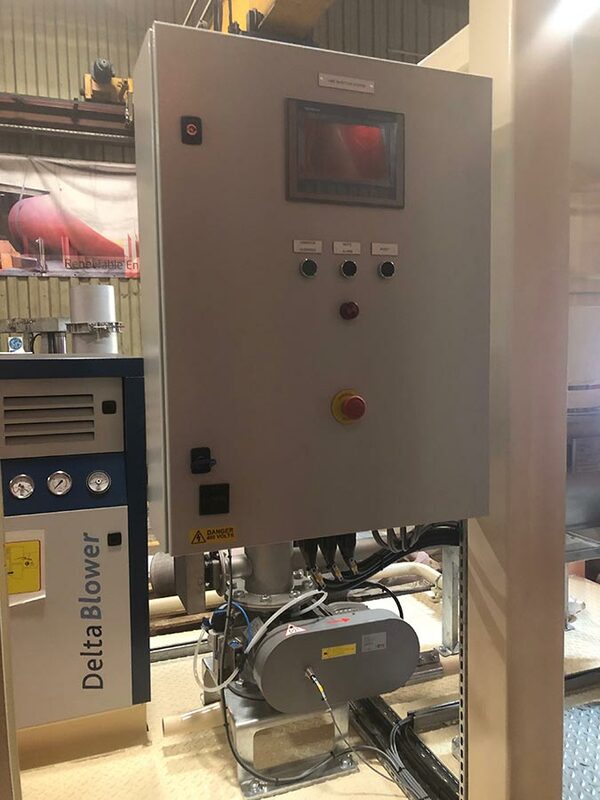 A filter unit is fitted to the outlet of the metering feeder to vent air leakage from the rotary valve and a control panel incorporating a Siemens PLC and HMI, provides all the automatic control and indication required. 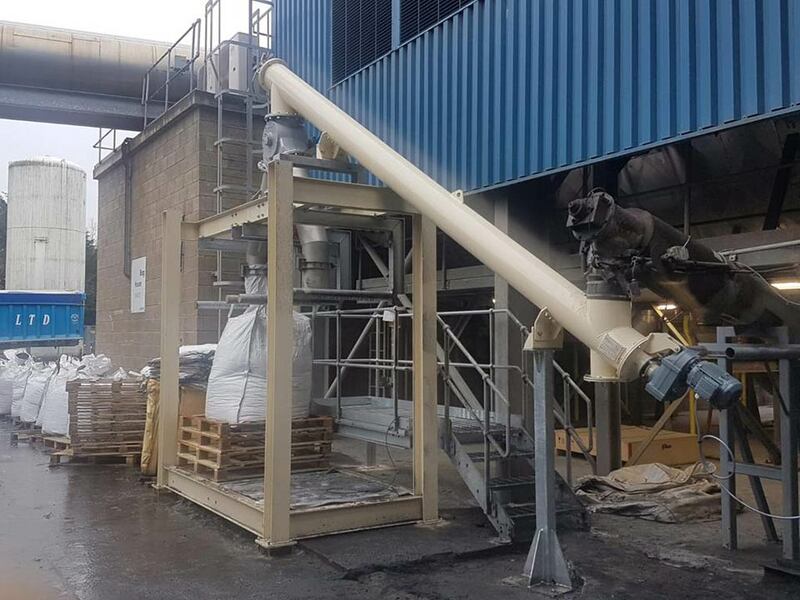 As part of the same project Spirotech has successfully completed the design, manufacture, supply, installation and commissioning of an ash collection facility comprising of a tubular screw conveyor assembly fitted to an existing screw conveyor to divert ash to a new bag filling facility. 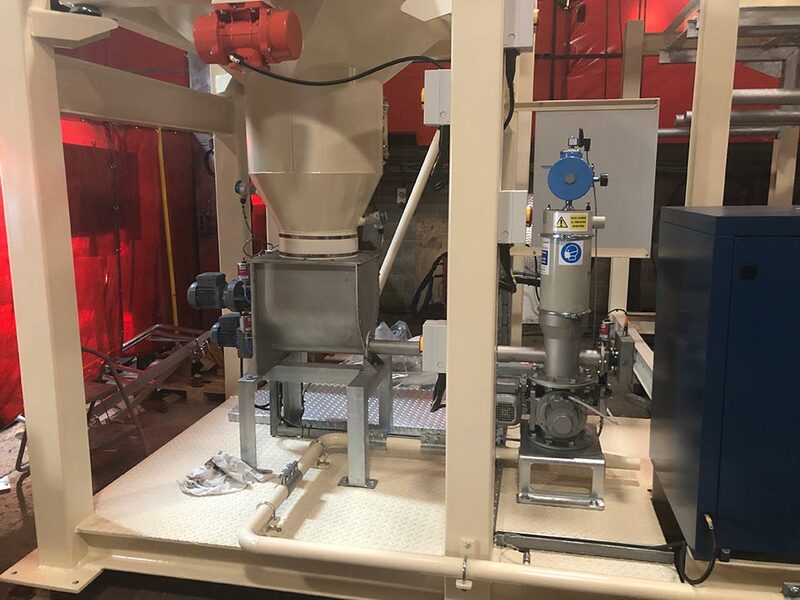 The big filling system has two independent filling stations with stream selection via a pneumatically operated diverter valve. 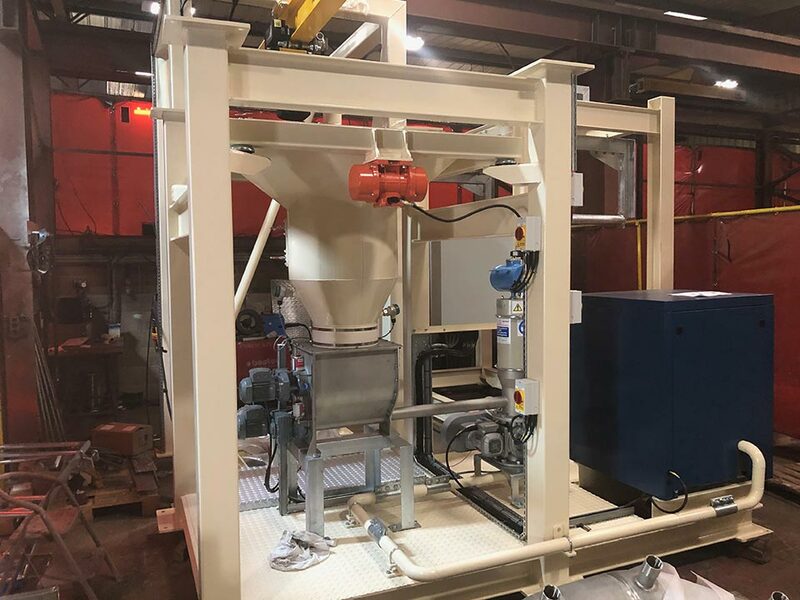 Each filling station also has an independent weigh scale for accurate level control.